For the past three days I have been at the CISVA Leadership Conference for Administrators. There are always many lessons to be taken from such events. This year, our speaker was quite good and was able to really articulate the why of Catholic schools and the role leaders play. One of the lessons that struck me was the notion that our schools need to be places of joy. We were challenged to see the joy that is already in our schools. When I reflect on this, I can see examples of joy. 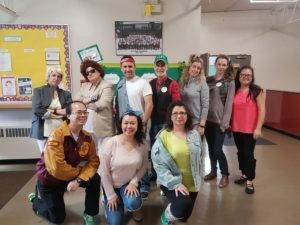 From the enthusiastic good morning greeting of kindergarten students to the thrills of a game of bump on the outdoor basketball hoop to the smilies and laughter of a group of staff members dressed up for an 80s theme day, there are examples of joy each day. For that, I am very grateful. The lesson of seeing joy in our school is always equally applicable to our homes. I would like to therefore challenge each of us to look for the joy in our homes. Let us work to create moments of joy for our children and for ourselves. For Jesus tells us “I have come that they may life, and have it to the full” (Jn 10:10). St. Jude School is asking for your donations of canned and packaged food. The Greater Vancouver Food Bank Society provides food to more than 30,000 people in need each week. Many of these are women and children. They are especially most grateful for donations made during the Christmas season. Starting next week until Friday, December 21st, please kindly donate food items in the boxes provided at the school’s front entrance under the Christmas tree. (Please send unexpired packaged or canned food only.) Thank you in advance for your generosity. The school will communicate a closure due to weather through the school website and through email using our mailchimp service. Please understand that the decision to close is never an easy decision and numerous factors are taken into consideration. 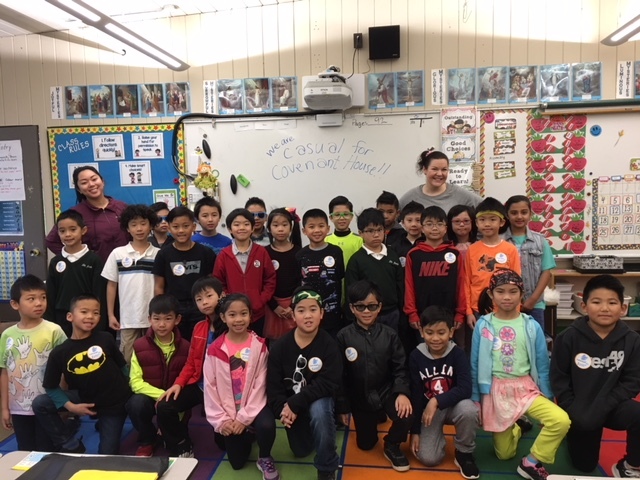 Students & Staff support the Covenant House. We will share more photos next week.